I was wrong. I made a confident assertion, and I was 100% wrong, and I apologize. Last week, I posted a letter that I wrote to Ami magazine in response to an article by Rabbi Avi Shafran. I introduced the letter by noting that there is not the slightest chance of their printing it. Well, I was pleasantly surprised to discover that they actually printed it! Not only that, but I even made the front cover, which stated "Slifkin vs. Shafran on Blogistan"! R. Chaim Dovid Zwiebel, Executive Vice-President of Agudath Israel of America, was recently interviewed in Mishpachah magazine. He explicitly acknowledged two obvious truths: (1) that abuse and molestation issues have not been taken seriously in the charedi community, and (2) that this has begun to change as a result of pressure created by blogs. In light of that, how could Rabbi Avi Shafran, in his latest column, deny any positive value to blogs that contain criticism of the charedi community, and equate them all with Korach? Whether or not the Jewish world would have been any slower to understand the scope and tragedy of abuse had the subject been raised, and the need to confront it promoted, in a responsible, honorable way is a question whose answer neither the letter writer nor I can possibly know. One is, however, required to acknowledge good things and what brought them about, even if those vehicles are unworthy in other ways. Examples of hakaras hatov to inanimate things, and even to malevolent people, abound in the Torah, as the baalei mussar point out. I think I can say with surety that Rabbi Zwiebel's comments were in that vein, and can safely assert that he does not consider Blogistan a proper place for any thoughtful Jew. As to that place, I clearly wrote that I was not referring to all blogs but to those who, in their crassness, cynicism, negativity, and disdain for talmidei chachamim and gedolim, emulate Korach. As to my neologism, the suffix "stan" has been used creatively by many to recall the lawlessness, malice, and violence in certain countries whose names end in that syllable. As such, it is most properly adapted for reference to the world of pernicious blogs. It is telling that now, with the issue of abuse squarely in the focus of the Jewish world (indeed, of the larger world as well, on front pages and in lead newscast stories), the inhabitants of Blogistan continue to lob their indiscriminate bombs and to shoot wildly at those they imagine to be their enemies, with the same unbridled and unhidden contempt as always. That really says all one needs to know about the true motivations of those militants. It is not the welfare of the Jewish people that they seek, but rather, for whatever personal reasons they may feel they have, to attack and undermine true Jewish authority. That was the point of my essay, and its veracity is self-evident. I would first like to say that I was extremely impressed with Rabbi Shafran's respectful way of treating me in his response. He opposes everything that I represent, and he had the upper hand here (in terms of getting the final word). He could have easily taken the opportunity to put me down in all kinds of ways, and to directly criticize my own blog, but he didn't. That was another pleasant and impressive surprise. I would also like to stress that I most certainly agree that there is plenty to criticize about the blogosphere. There are blogs that are way too quick on the draw to judge unfavorably. There are blogs that level accusations without basis. There is also a tendency towards negativity which, even if it serves a useful purpose, is unhealthy. Indeed, my own blog certainly suffers from the latter (although, at least in my case, a large portion of the blame can certainly be attributed towards the Gedolim that Rabbi Shafran defends). And there is an inbuilt problem with the very nature of blogging, in terms of the rapid pace, and the loss of responsibility and respectability that accompanies anonymity. My dispute with Rabbi Shafran should certain not be read to mean that I think that there is nothing to criticize about the blogosphere. Now let us turn to the substance of his arguments. 1. "Whether or not the Jewish world would have been any slower to understand the scope and tragedy of abuse had the subject been raised, and the need to confront it promoted, in a responsible, honorable way is a question whose answer neither the letter writer nor I can possibly know." Surely he can't be serious. But even if he is, and even if he were to be correct, it's irrelevant. The point is that it's due to blogs that the issue was taken seriously, and appreciation should therefore be shown. 2. "One is, however, required to acknowledge good things and what brought them about, even if those vehicles are unworthy in other ways... I think I can say with surety that Rabbi Zwiebel's comments were in that vein..." Exactly. So if Rabbi Zwiebel could do that in a few short paragraphs, why couldn't Rabbi Shafran do that even once in a full-length article on the topic? Even in this response, there is zero hakaras hatov! That was the main point of my letter. 3. "As to that place, I clearly wrote that I was not referring to all blogs but to those who, in their crassness, cynicism, negativity, and disdain for talmidei chachamim and gedolim, emulate Korach." Wrong. As Rabbi Kahn pointed out in his letter (which was unfortunately not printed), "While he accepts that there are some responsible bloggers, the examples he enumerates (those "who seek to share community news or ideas... [or] explore concepts in Jewish thought and law... [or] focus on Jewish history and society") demonstrate by omission that those who attempt to expose anything negative in Chareidi society are comparable to the villains in Parashat Korach." Rabbi Shafran, is it possible for a blog to point out genuine problems with Charedi society and its leadership, without you accusing it of emulating Korach? 4. "As to my neologism, the suffix "stan" has been used creatively by many to recall the lawlessness, malice, and violence in certain countries whose names end in that syllable. As such, it is most properly adapted for reference to the world of pernicious blogs." I think that Rabbi Shafran is correct in that the suffix does not necessarily mean what I thought it meant, and he is entitled to use it with this connotation. However, let us examine whether, with this connotation, it is indeed appropriate for him, of all people, to use it in reference to the blogosphere. "Lawlessness, malice, and violence"? With regard to lawlessness, the critique of the blogosphere towards the charedi system of authority and society is exactly that! Abuse is handled illegally and inappropriately (if at all) rather than through the legal system. Rabbinic pronouncements are arranged via all sorts of shady (sometimes criminal) askanim and with complete lack of protocol rather than via any halachic and professional procedures. And he is accusing the blogosphere of lawlessness?! With regard to violence, I assume that he means verbal violence (as far as I know, the only physical violence relating to charedi rabbinic authority is on the part of charedim, in Ramat Bet Shemesh, New Square, Ponovezh, and last week in the offices of Yated Ne'eman in Bnei Brak). Now, there's certainly plenty of unfortunate verbal violence in the blogosphere. However, I think that it is evenly matched by the verbal violence issued by the Gedolim and those who act in their name, whether in letters, speeches, or books calling for the execution of rationalists. I would further add that such verbal violence is much worse when issued by people in positions of authority rather than when issued by some random blogger. And with regard to malice - the malice in Rabbi Shafran's own article certainly matches anything coming from the blogosphere. 5. "It is telling that now, with the issue of abuse squarely in the focus of the Jewish world (indeed, of the larger world as well, on front pages and in lead newscast stories), the inhabitants of Blogistan continue..." Surely Rabbi Shafran is joking. Does he really expect people to accept that now, all of a sudden, the Gedolim are adequately taking care of matters? Agudah still insists that people with suspicions of abuse must not go to the authorities without asking a rabbi! The Gedolim still have not apologized for decades of covering things up! There are still "Gedolim" who are publicly known to have enabled abusers for decades that continue to receive honor! 6. "That really says all one needs to know about the true motivations of those militants." It's amazing that Rabbi Shafran considers it impossible to know whether the blogosphere effected the strongest change regarding abuse, but he is 100% sure regarding people's personal motivations. Rabbi Shafran should take a lesson from Rabbi Zwiebel, who said that he's not going to judge, and who pointed out that "I do believe that among them there are people who are deeply pained about certain issues and feel that this is the way they can express their pain." 7. "It is not the welfare of the Jewish people that they seek, but rather, for whatever personal reasons they may feel they have, to attack and undermine true Jewish authority. That was the point of my essay, and its veracity is self-evident." The personal reasons of bloggers are unknowable and irrelevant. Rabbi Shafran's essay compared all those who critique Charedi society to Korach's entirely villainous act that was punished by death. Whereas the truth is that, despite shortcomings, the blogs are addressing real problems with charedi rabbinic authority and effecting real improvement, as admitted by none other than the Executive Vice-President of Agudah. Rabbi Shafran should be expressing some of the hakaras hatov that he quotes the baalei mussar on, and should be engaging in some introspection regarding the flaws of the system that he defends as "true Jewish authority," rather than issuing malevolent condemnations. Thank you so much for responding calmly and meticulously to the drivel coming out of Agudah. Kudos for a: responding to Rabbi Shafran and b: eliciting a response. Seems that you chose the proper portal; I did not as per the following comment addressing Rabbi Shafran's rant. There was once a Jewish leader who, when confronted by his flocks about the nature of his leadership and his demonstrated lack of care for their needs, decided to consult with his friends and the yes men who surrounded him rather than with the wise men who were more attuned to the feelings of the people. Those advisers to whom he listened counseled him to treat the people harshly and unsympathetically, to ignore their justified complaints and to flex his muscles and show them who was the real boss. The askunya in Agudas Yisrael ... or Rechavam whose policies were the cause of a disastrous split in am Yisrael. It is not suprising that Rabbi Shafran will accept no comments to his postings on Cross Currents. He does not seem to be interested in any type of constructive criticism or in fostering a respectful and honest dialogue; rather, he would rather set his organization on top of Sinai and delude himself into believing that they are the sole heirs of Moshe - the only shomrei ha-masoret on the planet. Triumphalism and mocking condemnations of anyone who fails to see their light is the name of the game, not introspection and not a search for ways to fix what we all know is wrong. No, Rabbi Shafran, the story that I would humbly suggest as being applicable to the current state of affairs is not that of Korach and his band ... we are witnessing a new episode of The Emperor's New Clothes. Rabbi Shafran wrote: Whether or not the Jewish world would have been any slower to understand the scope and tragedy of abuse had the subject been raised, and the need to confront it promoted, in a responsible, honorable way is a question whose answer neither the letter writer nor I can possibly know. To paraphrase then Senator Obama's observation about change in his 2008 speech to the Democrat National Convention: "Change doesn't come from the establishment; change comes to the establishment." I have always been more impressed with Rabbi Shafran than any of the so-called gedolim. Rabbi Shafran at least writes articles for, and letters to, regular newspapers (The Jewish Week, The New York Times), trying to influence people by offering arguments in decent English. When is the last time any of the gedolim bothered trying to spread the truth of Torah (as they see it) beyond their four amos using the modern method of argument (as opposed to takanos and bans)? Rabbi Shafran would surely take offense, but my respect for him far exceeds my respect for the rabbis in whose name he is supposedly writing. No establishment enjoys a loss of authority or scope of activity, nor gives them up willingly. The structure has been relatively stable since the rebuilding after WWII. That's 2 or 3 generations of operating firmly within a given structure. It doesn't matter the source or even the direction, we see every change inducing event, sources, organizations being reacted to the same way by the establishment. Internet - check. Army service - check. Smart phones - check. Abuse and authorities - check. Change is happening, regardless. Unfortunately rather than directing and absorbing, they're reacting and stumbling. >Whether or not the Jewish world would have been any slower to understand the scope and tragedy of abuse had the subject been raised, and the need to confront it promoted, in a responsible, honorable way is a question whose answer neither the letter writer nor I can possibly know. Of course you can possibly know. Just look at how things were handled until the blogs got involved!!!! People were complaining to the gedolim and the rabbonim - in the "responsible, honorable way" - for decades, and all we got was cover-ups, victim intimidation, and protecting of abusers! Let's get philsophical about what the meaning of "know" is. Or, we can ignore that and say without something close to certainty that nothing but what happened would have made this issue what it is. Even now the Agudah is still kicking and screaming and catching up on the issue, so in what counter-factual version of history would it have been any different? We can also ask, what is that responsible and honorable way that is so highly desirable by Agudah? Instead of being brought up in blogs it should be brought up by The Jewish Press? Is there some other responsible and honorable way to force the gedoylim to tackle something they've resisted tackling? Rabbi Shafran doesn't illuminate us at all, he only attacks. I believe you miss the most interesting point here. Thre was a letter signed by a group of "gdoley ha-dor" which explicitly prohibited to give inerviews to the Mishpacha magazine. R. Chaim Dovid Zwiebel rebelled against "gdoley ha-dor" and explicitly violated their ban. From that I conclude that r. Zwiebel, as well as r. Shafran - his follower and supporter, are not better than those "malicious bloggers". Rabbi Slifkin, with all due respect the difference between you and R Shafran, is that you are basing your views on rationality and disregarding any halachot that you may be trangressing along the way in naming and shaming torah leaders whom you are biased against as you yourself have pointed out it was them that pushed you away. On the other hand R Shafran may have many views in his heart of hearts but he has the courage to disregard them and follow what halacha dictates. What strikes me most about the article seems to have been entirely ignored, and that is that an article which explains "the ease with which even fine people can be swayed by professions of righteousness and sincerity" can be written with such lack of self-awareness. The agudah was on the verge of making abuse a major community issue but was blindsided by some bloggers? Who is he kidding? "Self-glorification in the guise of advocacy. Ostentatious observance cloaking rank jealousy...Haughtiness pretending to the selfless pursuit of justice and truth." Welcome to the agudah. I am very grateful to R. Shafran, because with every word he utters or writes he tempts me to commit Lashon HaRah, and most times--though I admit, regretably not always--I am able to overcome my Yetzer HaRah. As a very young man I remember seeing a parody extolling the virtues of a "new" product called "Dearth" without which one really could not clean. Since one cannot clean that which is not dirty, then "Dearth" was the solution for compulsive cleaners. R. Shafran is the solution for those among us who wish to defeat the Yetzer HaRah and prevent ourselves from involving ourselves in Lashon HaRah. As I read it, Korach rebellion is used as a prototype to demonstrate that questioning the community’s leaders is assur. We are constantly told that not listening to our Godlei Ha-Dor makes us Korach, and that when we write or say things that diminish the Godlei Ha-Dor stature we become Korach. Putting aside the fact that Ahron was appointed as Cohen Gadol by Ha-Shem, and that none of today’s Gedolim would pass the test HaShem test for Ahron and Korach, I do think that it is worth asking what was Korach’s (and Datan and Aviram’s) sin? I have often read the chumash and asked myself the question, “What was wrong with Korach’s complaint?” Surely the appointment of Ahron as Cohen Gadol does smell of nepotism! It also remains unremarked in the text of the Chumash Ahron’s own role in the chet Ha’Egel, and Korach, and other Levi’im are certainly entitled to feel that their defence of Ha’Shem when called upon by Moshe justified an equal opportunity to serve in the Ohel Moed. Indeed, I am not convinced that the complaint itself was the problem, rather it is the ego and ambition of Korach (Datan and Aviram) that was the sin. It wasn’t the complaint of nepotism that was wrong, it was the desire to undermine the leadership with the intention of supplanting it with themselves. Thus the midrash of On ben Pelet and his wife. In this context, evoking Korach as a means of muting criticism of the Godlei HaDor corrupts the message of the Torah, and places Rabbi Shaffrin closer to Korach’s true chet, preserving the status quo to preserve their power, than he would be comfortable admitting. Certainly, evoking Korach as a means of muting legitimate criticism is dishonest at best. In line with Yossi's analysis, I am tempted to relate a saying of one of chassidic Rebbe who said that he can recall all the gilgulim that his soul underwent. He remembers witnessing the argument of Korach and Moshe, and not being able to decide who was right! But, when he saw people like Dathan and Aviram on Korach's side, he decided Korach must be wrong. By that measure, the actual criticism of our leaders can be logical and well-founded-- but when we look at the character of the people from whom the criticism is coming, and their motives, we can determine who is correct. So since Tropper and Pinter always argued for the Gedolim, the Gedolim must be wrong? I don't know about Pinter, but didn't Tropper have the backing of the Gedolim? Can we then measure the Gedolim by the standard of the person they endorse? "As I read it, Korach rebellion is used as a prototype to demonstrate that questioning the community’s leaders is assur." Or maybe, they see that people follow the blogs and not themselves, and they are afraid of losing power to the bloggers. They then assume that the bloggers must be attempting to gain power for themselves. since that is what they want to do. In their eyes, the Korach analogy is perfect. Well then let them call all the bloggers and all the Gedolim out for a test. Let them all plant their staffs and lets see which one grows a tree? The problem is that I think the vast majority of Bloggers do not grave the leadership (they probably desire a lack of centralized leadership) and will not show up for the test. I've got a better idea that doesn't need supernatural intervention. Let's invite all the bloggers and Gedolim to an open question-and-answer session, or to a debate. Let's invite all the bloggers and Gedolim to an open question-and-answer session, or to a debate. With Moshe vs. Korach, there weren't any Dathans and Avirams on Moshe's side. What can we do if there are Dathans and Avirams on both sides of a debate? A nice analogy I once heard went like this: If a house is infested with mice, a housewife and a cat will both take measures to exterminate the mice. The difference is, the housewife is getting rid of the mice, because she doesn't want them in her house. The cat might be getting rid of mice, but is overjoyed at the fact that there are plenty more mice. If the blog's point is to eradicate abuses, that's good. But there are also blogs that are overjoyed when there are abuses about which to write. "The problem is that I think the vast majority of Bloggers do not grave the leadership (they probably desire a lack of centralized leadership) and will not show up for the test." I assume grave means crave? I agree with you, but I don't think the askanim agree with you. That was my only point. RNS - Give me a break. Rabbi Shaferan is 100% right, and for you to claim otherwise is disingenuous. You and all other bloggers of your ilk are simply trying to use the subject of abuse as a wedge issue, and it's pretty obvious. You think you've seized upon an issue with which you can criticize the orthodox rabbinic establishment, and use that as a springboard to shoehorn in all your other critiques of them from there. I've sat and watched this charade for the past few years, and it's sickened me. Men who otherwise couldnt care less about such issues (or at least, no more than the average man on the street), and who've never bothered to pick up a pen with regard to any of the other myriad parts of society that can use imporvment, have all suddenly become righteously indignant when it comes to abuse. Why? Is it because of compassion for the students involved, and concern over how they will ever be able to get on with their lives? Come on, who are you kidding. Of course not. It's because they think they have a winner for attacking the frum. RNS, you can (and do) spew whatever blather you like about Rabbi Shafran, and you can continue making your confidential ssertions for which you then have to backtrack, all you like. But you shouldnt pretend to express "shock, shock" at how Rabbi Shafran can divine people's motivations. Some things are obvious. For me, abuse was the never the big issue, in and of itself; rather, it symbolized the general incompetence of contemporary rabbinic leadership, which has many manifestations. "In line with Yossi's analysis, I am tempted to relate a saying of one of chassidic Rebbe who said that he can recall all the gilgulim that his soul underwent. He remembers witnessing the argument of Korach and Moshe, and not being able to decide who was right! But, when he saw people like Dathan and Aviram on Korach's side, he decided Korach must be wrong." That's a distortion, probably self-serving, of the story. The Yismach Moshe said this, only he didn't say that he realized who was right when he saw who sided with who. He said that he went into his tent and stayed out of it. This is a subtle but important difference from your mussar vort. The point about no positive mention is a strong one. Unfortunately going through all those negative angles in item 4 takes away from the push for positive recognition - it's preaching to the non-charedi choir in a way that is guaranteed to tune out anyone actually charedi. Wouldn't a better response be to question why he puts so much emphasis on the few bad apples, rather than appreciating all the good ones out there - those who use proper tone and reasoned and respectful arguments? I don't see how one can take certain opinions of some otherwise respected talmidei chachamim seriously. The citations of the Yismach Moshe (Rav Moshe Teitelbaum) about gilgulim are examples. Why would a rational person believe someone who claims that he is a reincarnation of famous or notorious personalities in Tanach, much less an animal in Ya'akov's flock? The citation that he was not only a contemporary of Korach, but abstained from the controversy since he wasn't certain who was correct, is very strange. His alleged gilgul was, apparently, an am ha'aretz who couldn't distinguish between the statements and actions of a prophet at the level of Moshe, and the arguments of a prominent Levi, i.e., a politician. Y. Aharon, a rationalist person would of course not believe those things. I hesitate to use "rational" because that of course gets into the slippery slope about how a "rational person" can believe that Joseph Smith found golden tablets in Elmira, New York, etc. and clearly rational people believe that. Same with the Yismach Moshe's fantasy moshol which clearly some rational people believe. S. said, "That's a distortion, probably self-serving, of the story." Well, I didn't distort the story--I just related it as I heard it from a Viznitz Hassid. (Maybe he can provide me with a citation.) Unfortunately, a lot of chassidic quips are only word-of-mouth. "His alleged gilgul was, apparently, an am ha'aretz who couldn't distinguish between the statements and actions of a prophet at the level of Moshe, and the arguments of a prominent Levi, i.e., a politician." I like how someone so rational can use his ESP to ascertain who is a prophet and what his "level" is. I'm level 53, by the way. "I've sat and watched this charade for the past few years, and it's sickened me. Men who otherwise couldnt care less about such issues (or at least, no more than the average man on the street), and who've never bothered to pick up a pen with regard to any of the other myriad parts of society that can use imporvment, have all suddenly become righteously indignant when it comes to abuse." How interesting! You feel the activity of some bloggers has less than ideal motivation and it "sickens" you. Yet somehow you can't fathom people being sickened when their religious leaders turn out to be protectors of child molesters. 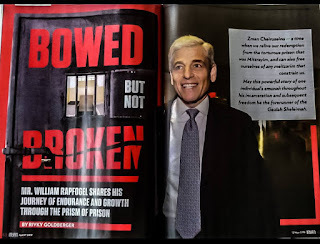 Michael Dworkin writes: "I am very grateful to R. Shafran, because with every word he utters or writes he tempts me to commit Lashon HaRah,"
Every word? Really? We can really do without your exaggerations. I think we risk missing the woods for the trees. Whether Rav Moshe Teitelbaum really claims to remember past Gilgalim, or we believe his claims to be literal detracts from the point that Rav Moshe Teitelbaum has difficulty discerning Korach's great sin. Although I reject the literal story that Rav Moshe Teitelbaum remembers himself in the Dor HaMidbar, metaphorically the mashal confirms my discomfort with brandishing the Korach slogan to silence dissent. I recall now that the Viznitz chassid that related that version of the Yismach Moshe's statement, invoked it to help him decide how to vote in the 1996 Israeli elections (Netanyahu vs. Peres): He couldn't decide whether the Oslo accords were a correct path or not, but, seeing the Meretz party (=Dathan and Aviram for our purposes) in favor of Oslo/Peres, that means he should vote Netanyahu. But this is missing the point. Yossi summed it up best: at the heat of the Korach/Moshe Rabbenu debate, it wasn't clear with whom to side. Furthermore: even if a dissenting blogger can be branded as a Korach, we see Moshe made several attempts at rapprochement, before calling on Divine intervention. Leaders should therefore be more attuned to criticism levelled at them, before accusing people of trying to undermine authority. "For me, abuse was the never the big issue, in and of itself; rather, it symbolized the general incompetence of contemporary rabbinic leadership, which has many manifestations." RNS - If you were able to review your comments for the past several years, you will see I have always supported your true goal of promoting rationalism. And I agree fully that in many cases the rabbinic establishment has gone off the deep end. But you are losing people, and are slowly turning into just another of the peanut gallery haters, by constantly yamemring on "abuse", rather than on your core mission of rationalism. The abuse issue is not as simple as the anti-semites of the world, like failed messiah, like to claim. No one has still managed to explain where the line is crossed between mere inapprporriate behaviour, on the one hand, into illegal "abuse" on the other. No one yet can measure the harm that may be discerned 20 years from now, after a generation of kids have grown up with teachers too spooked to have even the simplest warmth with their students. And as we've seen from Penn State and the Catholics and Baruch Lanner, these issues have nothing to do with right wing orthodoxy or even Judaism generally. It is something EVERYONE is grappling with, and its a foolish tool to hammer the rabbis with. The point is, everyone can see the naked cynism of those piling on about "abuse." They dont really care about it, they just want to attack the orthodox. I wish you would distinguish yourself from those braying fools, and concentrate on the main issue. S., you're right, of course, people are complex. They can be rational in the general conduct of their lives, but hold some irrational beliefs. I was really referring to such beliefs rather than to a general characterization of such a person. Avi, if you believe that the torah narratives reflect true events, then there was no need for ESP to ascertain that Moshe acted as an agent of the divine in performing many wonders before all of the people. You used your eyes and your mind to convince yourself that Moshe was the epitome of such an agent. Only those with ulterior motives or simple malcontents would have argued the contrary. That is why I find it incredible (in both senses of the term) that someone like Rav Moshe Teitelbaum could have believed the alleged confusion of his ancient 'alter ego' in the matter. A possibly more cynical understanding of the story referenced in the Wikipedia article on the Yismach Moshe is that he made it up to teach his young grandson not to rush to judge biblical figures. That would be consistent with the admonition to an Amora who 'darshened' against Ahab that had this Amora lived in those times, he would run to idol worship. OK: So I exaggerate. I apologize herewith. Let us say instead that with ALMOST any word he utters or writes I am tempted to commit Lashon HaRah, or at least be embarassed to admit that I am a Shomer Shabbat, observant Jew. I also try--as best I can--to avoid the utter mindlessness that characterizes those who cannot wipe their noses without consulting their Rabbonim--in the name of Daas Torah. some more interesting potential topics: bible criticism, feminism, etc. (i like controversial topics, as you can see.) id like to see you expand beyond "torah and science" to other topics interesting to "rationalist jews". keep up the good work! Michael Dworkin, it's so nice to see you've cured your tendency to exaggerate. "There are still "Gedolim" who are publicly known to have enabled abusers for decades that continue to receive honor! " So true. And why don't we have to assume that they did teshuva? I think we should start calling him Abu Shafran from Agudahstan. Seems to fit according to his logic. "how kashrus has gotten out of control; how niddah has expanded too far"
DF, why would the subject "how abuse has gotten out of control" not fit as an additional subject here? Why are you so upset about his discussing the abuse subject? Don't you understand that the problems stem from the same sources? (ie, irrational approaches to the halacha gotten out of control) ?